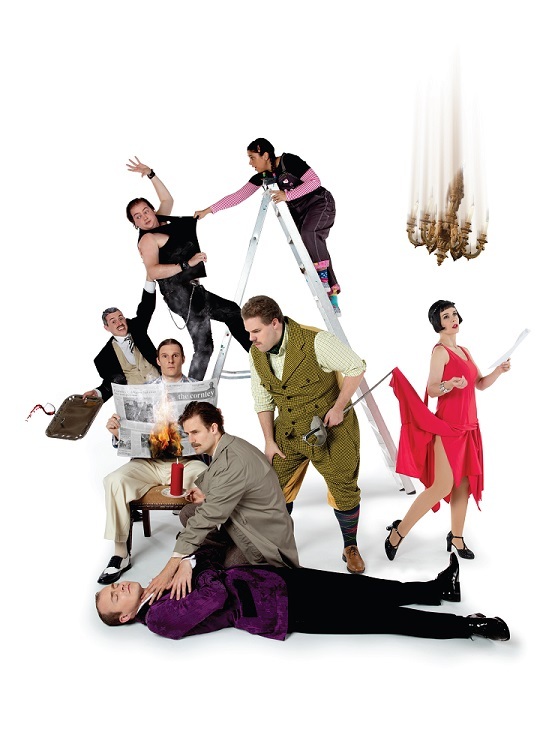 Storyhouse Chester presents, The Play That Goes Wrong, a multi-award winning performance that is currently on a worldwide tour. Having been a West End smash-hit from the London based Mischief Theatre, The Play That Goes Wrong has won awards the calibre of The Olivier 2015 Awards Best New Comedy and the Whatsonstage 2014 Awards Best New Comedy, and you can see it in all its glory right in the heart of Chester. And go you should, especially as you can pick up a ticket for as little as £16.50 from the Storyhouse Chester website as part of the theatre’s Spring Season. The Play That Goes Wrong will be in Storyhouse from Monday 29th January until Saturday 3rd February, with matinee performances on Wednesday 31st and Saturday 3rd. Evening performances start at 7:30pm (matinee at 2:30) with a duration of approximately 120 minutes / 2 hours, with a 20-minute interval. For more information, check out the Storyhouse website or The Play That Goes Wrong‘s official website. And to keep up to date with the latest news and information all things TPTGW, check out their official Twitter and Facebook sites. Mischief Theatre was founded in 2008 by a group of graduates of the London Academy of Music and Dramatic Art (LAMDA) and began as an improvised comedy group. The company performs across the UK and internationally with improvised and original scripted work. The company, which is also behind The Comedy About a Bank Robbery, playing at London’s Criterion Theatre, made its television debut last Christmas with a TV production of its festive hit Peter Pan Goes Wrong, filmed in front of a live studio audience and featuring guest star David Suchet as the narrator. Mischief Theatre is led by Artistic Director Henry Lewis and Company Director Jonathan Sayer. The Play That Goes Wrong is directed by Mark Bell, with set designs by Nigel Hook, lighting by Ric Mountjoy and costumes by Roberto Surace. It is produced in the West End and on tour by Kenny Wax Ltd and Stage Presence Ltd. I'm what you may call a Nerd. I like Comic books, video games, writing, Movies, wrestling, music, and drawing. My heroes include Deadpool, Scott Pilgrim, and Moon Knight. I'm just trying to start up my own multi-media empire. Whether or not I get there is beside the point, but I'm sure as heck enjoying the ride thus far.